Until 2018 the MothEuroCup consisted of up to 6 chosen events across Europe. For 2019 we changed the mode and now all national championships of a national class association inside Europe are counting for the overall results. The Final results will include every sailor who sailed at least 3 national championships. The 5 best results of every sailor will be counted as maximum. We hope this will encourage more people to travel to other countries to attend more events. The formula to calculate the points for the overall ranking will also be new. We are still working on it and it will be published soon. 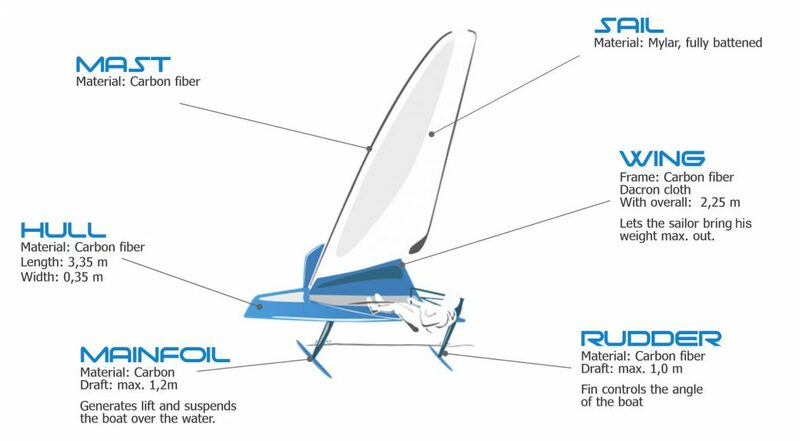 Since the class has very open rules it experienced a big development and people started to put foils onto the boat to get faster and faster. This resulted in growing popularity and now there are a lot of commercial boat builders producing and selling lots of high tech boats ever year. The class has a big world championship every year with lots of high class Sailors attending. The list of sailors has loads of Olympic medalists, world champions of different classes and most Sailors of the foiling era of the Americas Cup.